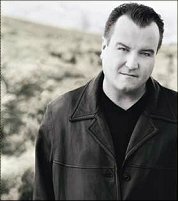 Bob Carlisle (born September 29, 1956 in Los Angeles, California) is an Grammy Award and Dove Award-winning American musician who performs Christian music. He performed with several bands, most notably Allies, before launching a solo career. Carlisle is best known for his hit song "Butterfly Kisses", which appeared on his third solo album. That album, originally titled Shades of Grace, was later re-released as Butterfly Kisses (Shades of Grace) because of the success of the single. He co-wrote this song with former Allies partner Randy Thomas and for this they together won the 1997 Grammy Award for Best Country Song. 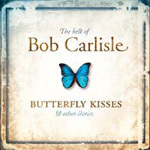 "Butterfly Kisses" also won a Dove Award for Song of the Year. This song was also a chart single that same year for Jeff Carson and the Raybon Brothers.